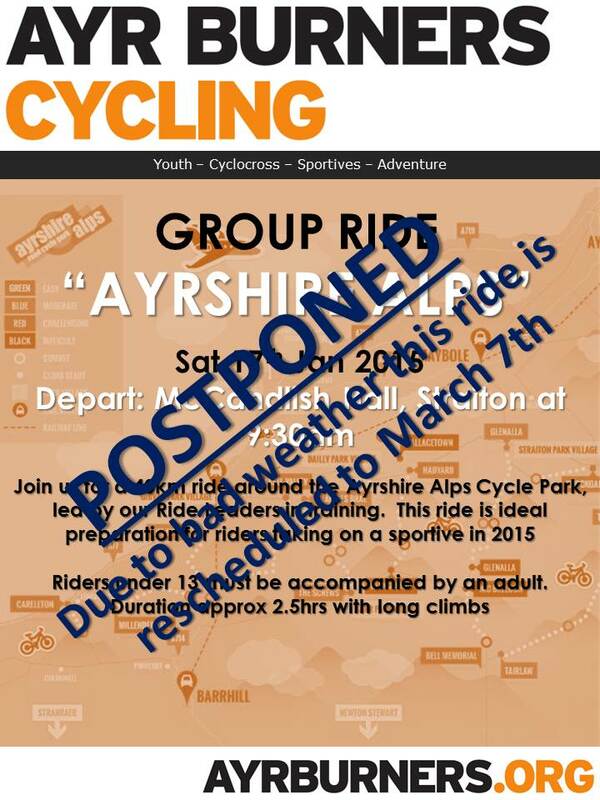 UPDATED 15/01/2015: Due to the horrible winter weather conditions we have postponed our Ayrshire Alps ride to the 7th March. Disappointing, but for the best. We have two more activities planned for January. 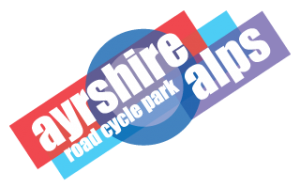 First up is a 40km led ride around four of the climbs in the Ayrshire Alps Cycle Park. The ride will meet at McCandlish Hall in Straiton and will provide a practical opportunity for our members training as Cycle Ride Leaders! 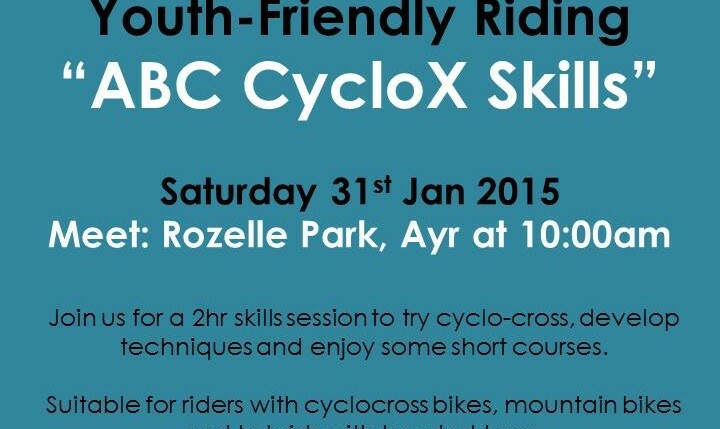 Note: this ride is open to members and prospective members of Ayr Burners Cycling – new riders will be most welcome! 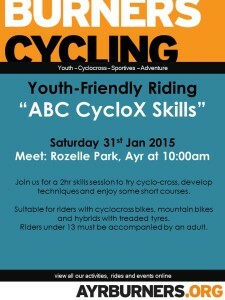 Secondly we have our CycloCross Skills session on Saturday 31st January, meeting at Rozelle Park in Ayr. 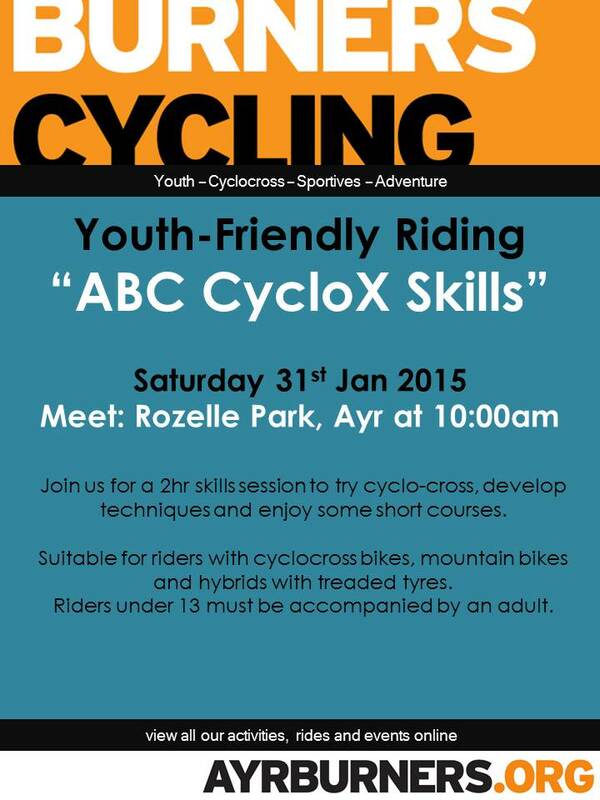 We’ll be riding in an off-road environment completing some fun games as well as practicing some group skills. Ideal for riders of all abilities as you set your own speed and strength and the only thing we require is a smile! Any off road bike is suitable, MTB, Cyclocross or Hybrid with knobbly tyres. For both activities riders under 13 must be accompanied an adult and riders under 17 must have parental consent. 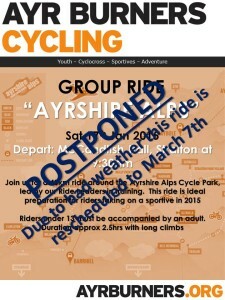 Note: this activity is open to members and prospective members of Ayr Burners Cycling – a great opportunity to come and meet us before committing to joining.